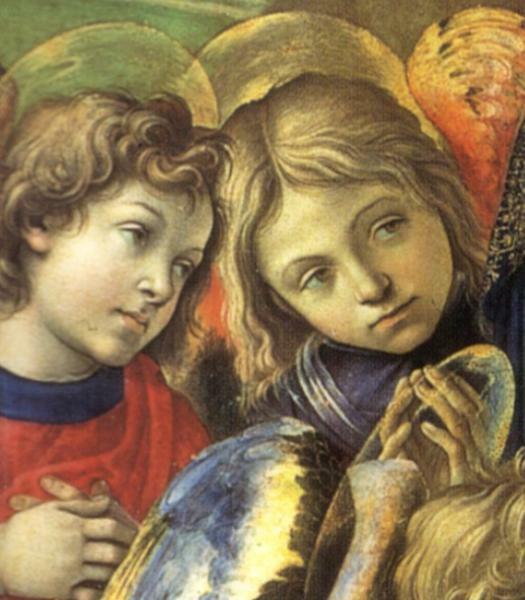 Son and artistic heir of Fra Filippo, Filippino Lippi (1457–1504) often seems a neurotic Gozzoli, or at least one of the most thoughtful and serious artists of the quattrocento. He accompanied his father to Spoleto, and finished his frescoes in the cathedral after his death. Back in Florence, he worked in the atelier of his friend Sandro Botticelli, who had himself trained under Fra Filippo. Both inherited the elegant, wistful line and love of rich colours. But Filippino could also adopt other styles: his first major solo project, around 1483, was to finish the frescoes in the Brancaccio Chapel, the work that inspired his father to take up art, but had been left abandoned for half century. Filippino successfully blended his new work with the more monumental style of Massacio. In 1487, Filippo Strozzi commissioned him to fresco his chapel in Santa Maria Novella, with Stories of St John Evangelist and St Philip. 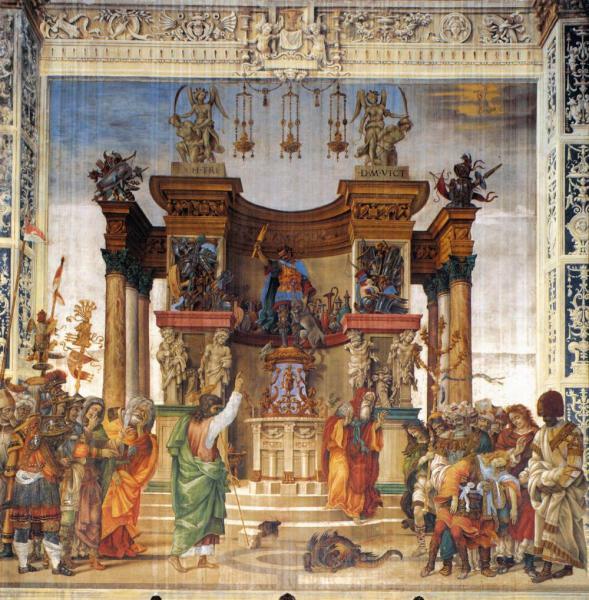 Filippino worked on the chapel intermittantly, painting in Rome in the meantime, inspiring the chapel's lively depictions of ancient architecture. The result, complex and packed with detail and emotion, is his masterpiece, one he completed shortly before he died. 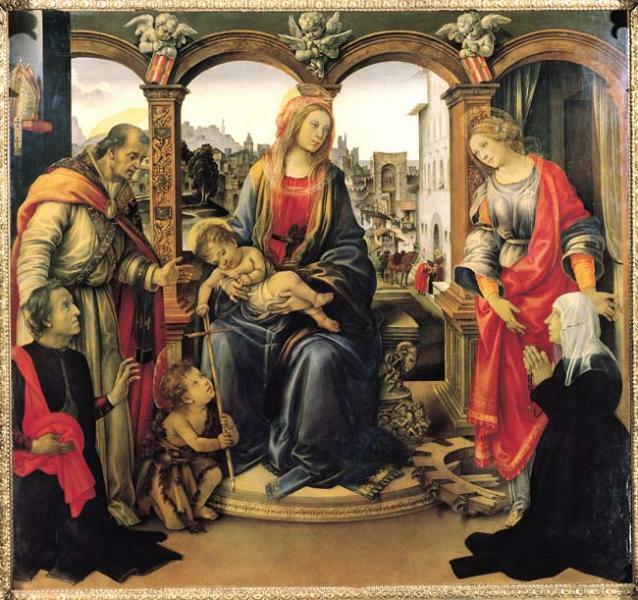 Two of Filippino's finest paintings remain in the Florentine churches they were intended for: the Apparition of the Virgin to St Bernard in the Badia and Virgin and Child and Saints in Santo Spirito. Others works are in the Uffizi and Accademia. His most successful student was Raffaellino del Garbo.